Passang shared that nobody ever taught him how to save money. Yet he used to save every penny he used to get as a child and kept it in an empty beer bottle. He had always wanted to buy his own school stuffs with his savings so that he wouldn’t have to burden his mother. The key message from this episode of his life was that no matter how limited our resources might be, we can always share the burdens of our family if we are able to take care of ourselves first. Passang said that he could not speak even a single correct sentence in English when he was in grade 9 in Drugyel Higher Secondary School. Having studied in the remote community school in Ha until grade 8, he said he really felt low in the midst of the apparently intelligent students in the class. He shared how most of his classmates used to avoid sitting with him just because he was not good in studies. Then one day when he approached his English teacher to enquire what he should do to improve his English language proficiency, he was advised to read a lot. For the first time in his life, he started reading a lot of books, one after another and soon he found his passion to write. From being not able to speak even one single sentence correctly, he went up to becoming one of the best short story writers just within two years after his stories started coming out in the Kuensel newspaper. This episode shows how reading can boost our intellectual growth and enhances our communication skills. Once reading becomes a habit, people never stop growing wiser. 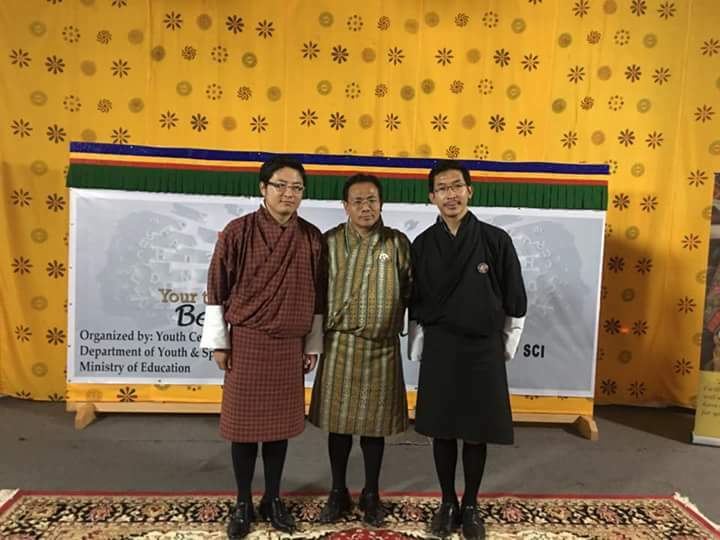 During the board examination of grade 10, Passang said he scored 70 percent which was a huge achievement during those days when the examination was affiliated with Indian Council for School Certificates (ICSC). So a good reading habit can certainly make a huge difference in your academic performance. Passang humorously shared how he got his first girl-friend all of a sudden when he reached grade 12. He talked about how everybody just took huge pride in their relationships. Like all of his friends who had girl-friends, he also started spending more time with his girl-friend and focusing less on studies. As a result, he could not study well for the board exams that year. He said he could not even qualify for higher studies in the university. So he joined teaching and became a teacher. He said almost all his friends who were in relationship scored very low in the board exams and did not qualify for tertiary studies. He also added that the greatest irony of those relationships was that none of the couples married their lovers. The key message this part of his story conveys is that relationships during school days are only a distraction and are simply wastage of time and resources. There are many more important things to do in the school than engaging in such unhealthy relationships. Passang also shared his experiences as an active social worker. He demonstrated how rewarding it is to be a social worker. He explained how and why he initiated Bhutan Toilet Organization to clean public toilets and educate the public on proper maintenance of public toilets. He proudly informed the audience how his entire family including his step-son, wife and other relatives clean toilets with him and how satisfied they feel when they see the impact of their contributions. He also sensitized the participants on how and why our toilets should be kept clean and hygienic. He focused on the importance of social responsibility at the individual level. Likewise, Passang’s talk conveyed many other important messages to young people. He also talked about the harmful effects of smoking and other negative influences as a result of bad people. In general, his talk was very insightful and enlightening for youth. It touched several issues that resonate with the current scenario our youth are going through. In addition to what Passang talked about, another eminent speaker, Dasho Sangay Khandu who is the Hon’ble Member of National Council of Gasa also provided new insights into a couple of things that truly make us a Bhutanese. His wisdom on the richness of our culture, traditions and other integral components of our national identity was equally praiseworthy. His talk was designed to help youth understand and appreciate the real value of being a Bhutanese. His presentation was simple, but very powerful in meaning. On behalf of my office, I would like to heartily thank both the speakers for their participation.